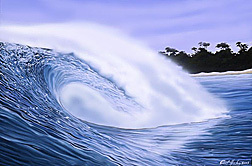 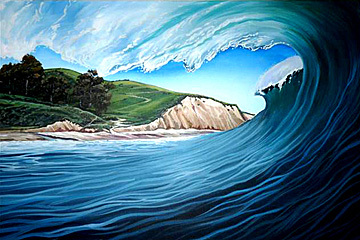 Impressionistic, surf and ocean artist Robert Heeley finds his inspiration and stoke from our planet's truest healing energy: nature and her magical, mystical oceans. 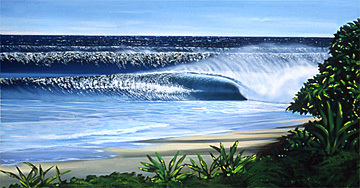 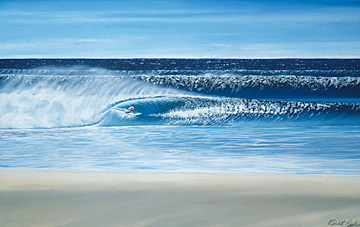 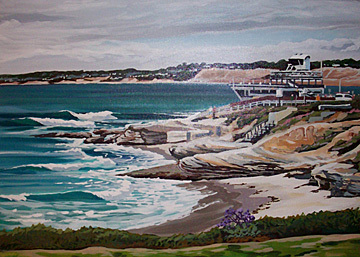 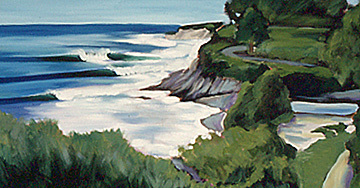 Robert draws upon his surfing and sailing lifestyle to create inspired images of seascapes and ocean living. 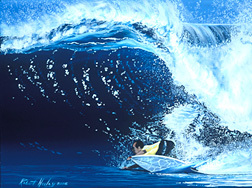 He captures the surfer's dream of spectacular waves at famous surf spots throughout California, Hawaii, Mexico and beyond. 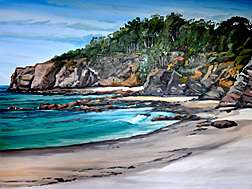 Characterized by his use of rich and uniquely balanced colors, his work piques the imagination with thrilling imagery of sparking surfaces and the breath of fresh, salt air. 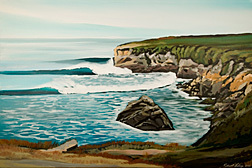 Rob's work invokes the 1970's retro representation while contributing impressionistic plein air designs to the contemporary form, truly displaying his roots in the Southern California surf art tradition.